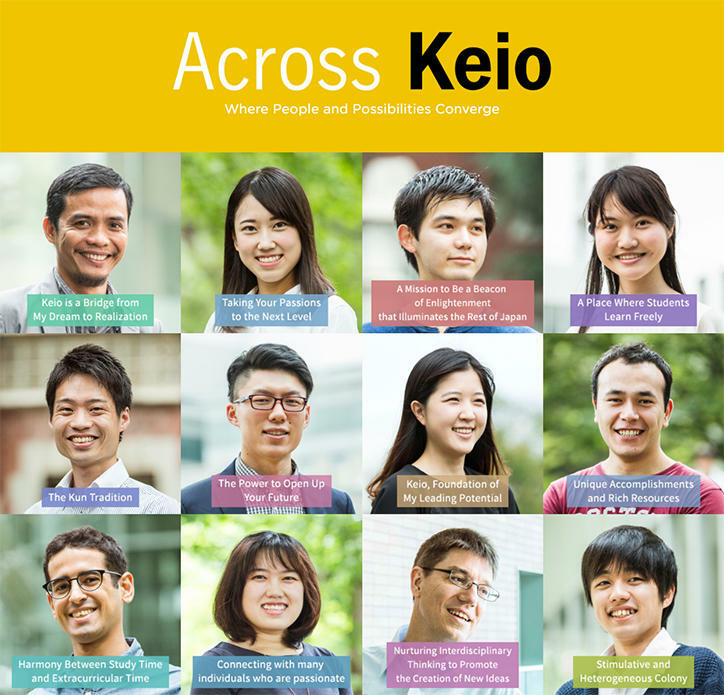 Opportunity to Represent Keio in Web Feature, "Across Keio"
Keio University is now accepting submissions from students for Across Keio, a feature on the university’s website that highlights individuals throughout the Keio community. We believe that the university is best described by the people who learn, teach, and work here, and this feature aims to shed light on the diversity of our community. We are looking for Keio students who are willing to take a few minutes to share their thoughts and experiences with us. Your participation in this feature is both valued and crucial to its success, and we would love to hear your personal thoughts on Keio. Selected participants will be contacted about a photo shoot by a professional photographer. Keio will sponsor this shoot and participants are eligible to receive the photo data at a later date. The schedule for the photo shoot will be made available in mid-September. We look forward to hearing from you!